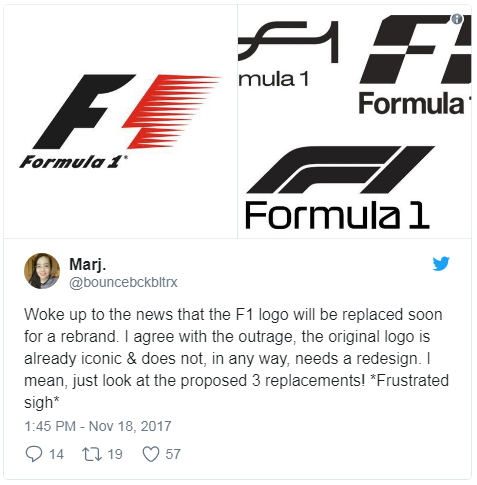 Formula One has redesigned their logo for the upcoming year 2018 which the fans are not liking it at all since the day it is revealed. The new logo is designed by Weiden+Kennedy London and unveiled at the Grand Prix Season in Abu Dhabi. The new logo redesign is publicized in just a few time because it did not bring that exciting reaction of the fans as compared to the one for the last logo redesign. The last logo design of Formula 1 was designed in the year 1994 by Carter Wong that people did not only take it as a logo design but a connection to it for more than 20 years. Why Is The New F1 Logo Design Revealed? F1 commercial boss Sean Bratches said: “We wanted to present it now to help our partners look into how they will use it.” Though the logo design is for the next year but it was revealed earlier to decide what’s the best can be done with it. Despite a few criticisms the new logo design seems to be clearer. 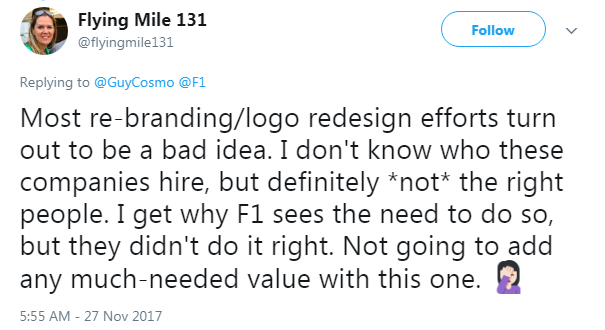 As an F1 commercial boss, Sean Bratches explains that there was an invisible one between the F and the 1 in the last logo design. The new seems to be a more custom logo design that clearly shows the “1” between “F” & “1”. Moreover, it’s not just the case with F1, in this digital era, big brands like Starbucks and Coca-Cola have also redesigned their logos for clarity and so what F1 came up with a logo redesign. A good logo design is not just a design, but it sticks in people’s mind and conveys what a company does. A logo design is more of an image, tells what a company does and how it does. It connects the feeling of the users with the brand and so a change in it can either strengthen the bond or weaken the association of the users. 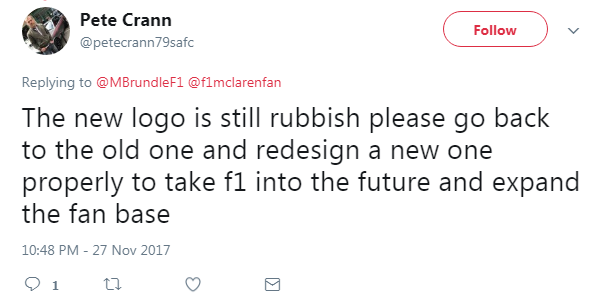 So, the previous F1 logo design has probably accomplished those things and has a strong association with the fans. The design reflecting the speed of the sport had already created its place in the mind of the customers. On the other hand, the new logo design is more of a more minimalist than the previous but keeps a lot of the similar elements. The new logo design has the vibrant colors and sleeker shape which is not bad, but it missed the negative space touch of the old F1 logo. Nothing persists for long, and there is always a time for a change but the change must turn out to be good and not annoying. It is a fact that changes are at times not acceptable if it has remained same for years. Some brands have been through the change process but, F1 is so far the first famous brand where a new logo design was initially met with anger. A change can either be accepted or might take time to get accepted. Likewise, when Instagram changed their logo a year ago, many were resistant to the new pink-heavy color-scheme and flatter design which also stuck around for some time but now it is acceptable, and no one talks any more about Instagram logo redesign. Times change and brands do as well, with plenty of companies have changed their logos over the years, so what is it about this particular change that seems to have annoyed so many fans?It is a fact that no brand wants to remain static for years and that is why they go towards rebranding. Rebranding any business is a subtle issue, and ideally, you do not want to end up with a list of rebranding failures. So, take time and come up with something that does not annoy your fans. All Rights Reserved | SolutionsHead Global Services Pvt. Ltd.